Welcome to Three Pines Bed & Breakfast and Farm! 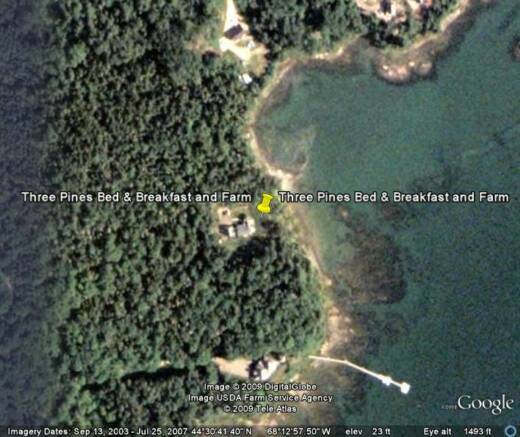 We are located on the east side of Hancock Point, in Hancock Maine. 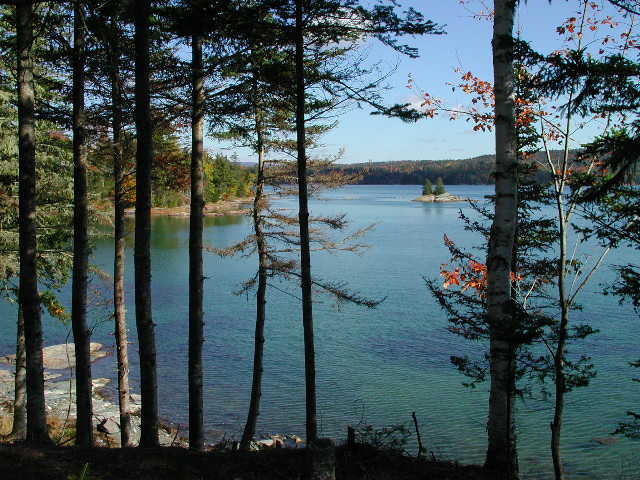 We are also a short drive to Bar Harbor and Acadia National Park. 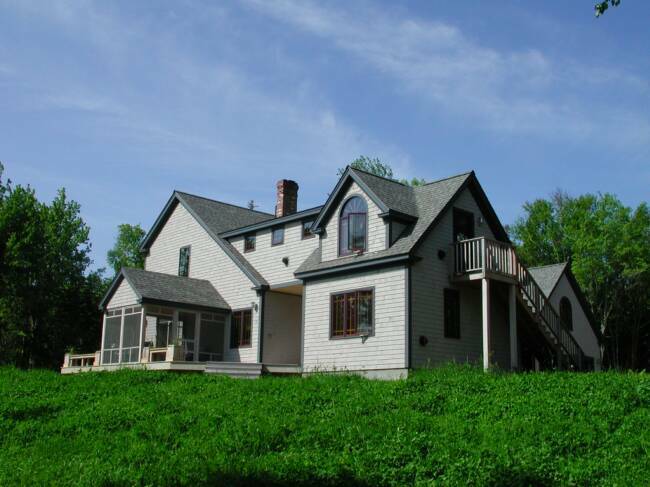 Our waterfront, timber-framed, passive solar / off-the-grid (solar electric) homestead sits on 40 acres on the shore of Sullivan Harbor, which leads to Frenchman's Bay and the open ocean. 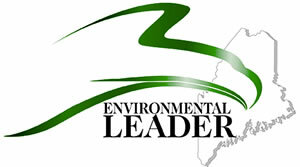 We have been certified by the State of Maine as being an Environmental Leader in the hospitality sector. 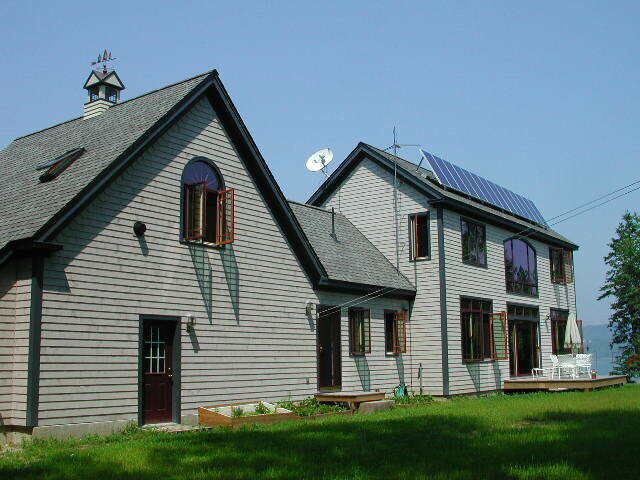 We have recently added a solar hot water system to our off the grid living. Details can be found elsewhere on our web site. 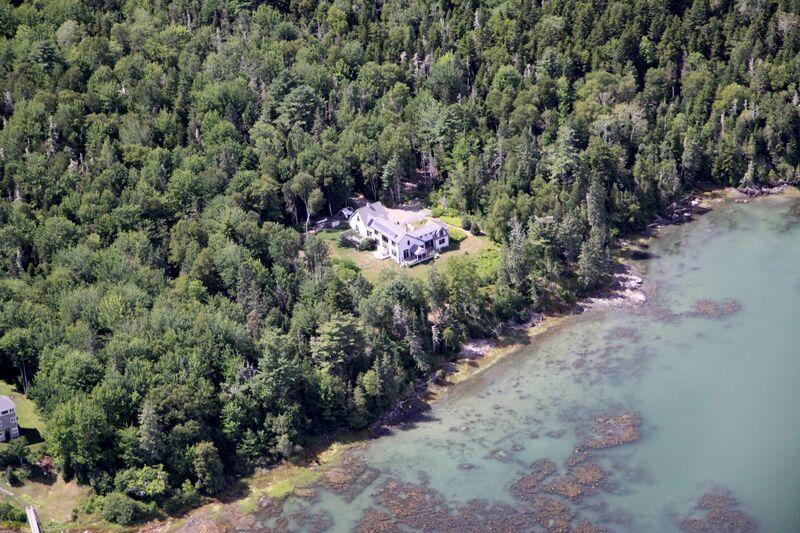 We also have completed a conservation easement on our property through the Frenchman Bay Conservancy. This will permanently protect our property from further development. We have two guest rooms, each having a private entrance, private bath, a cozy sitting area, and spectacular views of the water. 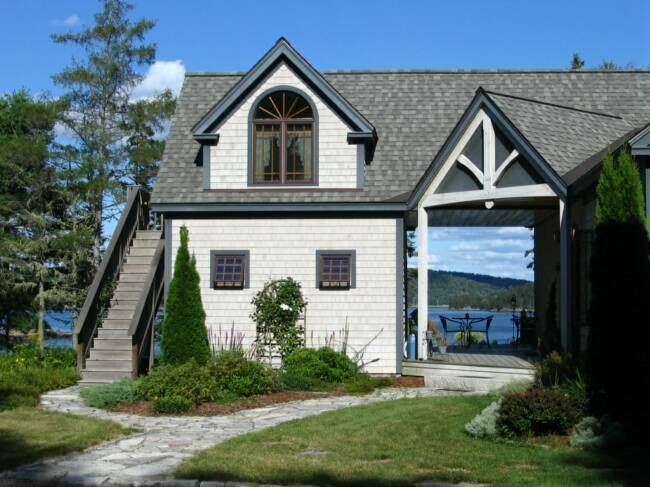 Simple cottage style decorating completes the atmosphere for your perfect Maine vacation. Guests are welcome to relax and enjoy the views from our decks and screen room, or take a few steps to the rocky shorefront to take in the vista from Schoodic to Cadillac mountain. We are open year round. 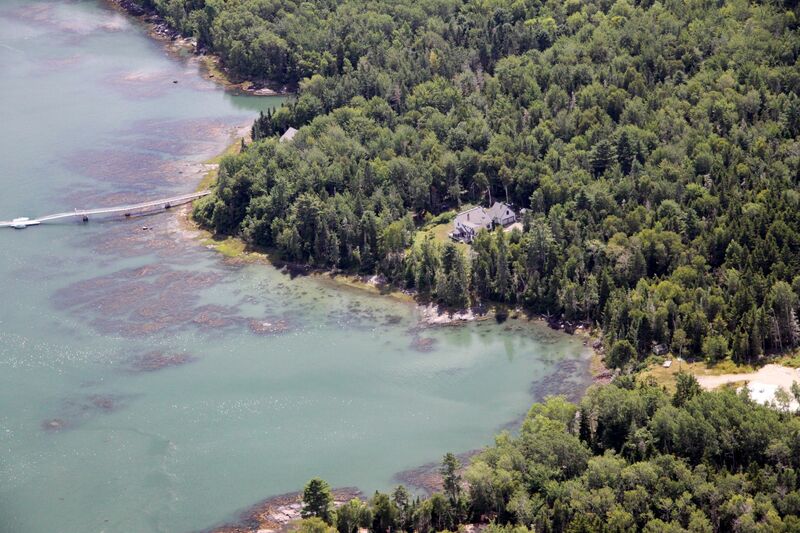 With over 800 ft. of shorefront, 3000 ft. of old railroad bed, and 40 acres of woodland, you'll never have to leave the property to enjoy the natural beauty of the Maine coast. However if you wish, our bed & breakfast is conveniently located for visitors to take advantage of many surrounding activities. Biking and hiking are available in and around our property as well as at Acadia National Park and the Schoodic Peninsula. 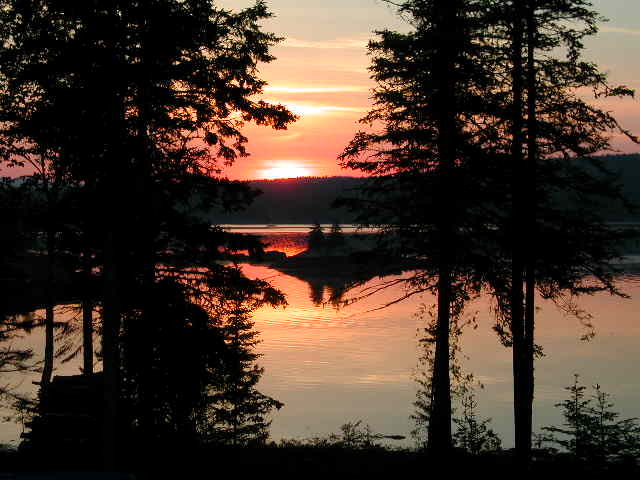 Canoeing and kayaking are available from our 800 foot shore line as well as over at Mount Desert Island. Sightseeing activities are available at Acadia National Park, Bar Harbor, Schoodic Point, and elsewhere. Shopping is available in Bar Harbor and Ellsworth. There are nearby artisans who produce pottery, sculpture, art, etc. Hancock is also home to several of the area's finest restaurants. We are vegetarians, raise our animals and grow our fruit and vegetables as naturally as possible. We raise rare breed sheep and chickens. The sheep are raised for wool and the chickens for eggs. We now have 19 sheep, 3 ducks, one llama, and many chickens. All animals except the chickens live in our barn, which has 12 volt lights and pumped water powered by two solar panels mounted on a pole in the fenced pasture. We have a large organic vegetable garden, berry bushes, grape vines, and a small hoop greenhouse, all of which produce food for us year round. Excess fruit and vegetables are canned, frozen, or stored in a root cellar. A 40 tree fruit orchard is planted and producing fruit. Beekeeping has been added to our activities, with two hives located in the garden areas. For off season activities we make soap, cider, honey, and maple syrup. Check Us Out in Google Earth. You must have Google Earth installed on your machine to view the picture. Google Earth can be downloaded here. We now have Wi-Fi access!